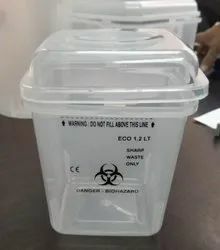 Knowing us a renowned organization, we are engaged in offering an extensive range of Sharps Container, Disposal to meet the demands of our esteemed clients. 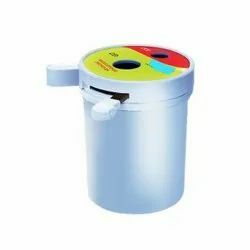 This sharp disposal container is manufactured under the strict supervision of experienced team-members, who vigilantly monitor the complete production process so as to ensure their flawlessness. Also, we offer customization facility of these containers. Our rapidly growing organization is engaged in offering a distinct collection of Sharps Disposal Containers, available in various sizes, dimensions and shapes. Our offered containers are broadly used in various hospitals, nursing homes and other medical sectors for the removal of sharp and cutting waste like needles and surgical blades. The offered range is widely known for its remarkable quality and leak resistance. Looking for Sharp Container ?